Happy Monday! We have some really fun Qs for you this week. Get your kids to brainstorm about books they’ve read, people they admire, and impressive vocabulary words they know! Happy Thanksgiving from all of us at ParentsTogether. We hope your holiday is filled with family, friends, and yummy food! Use these questions during this special time together to spark some memorable conversations with your kids! Happy Veterans Day from all of us at ParentsTogether. 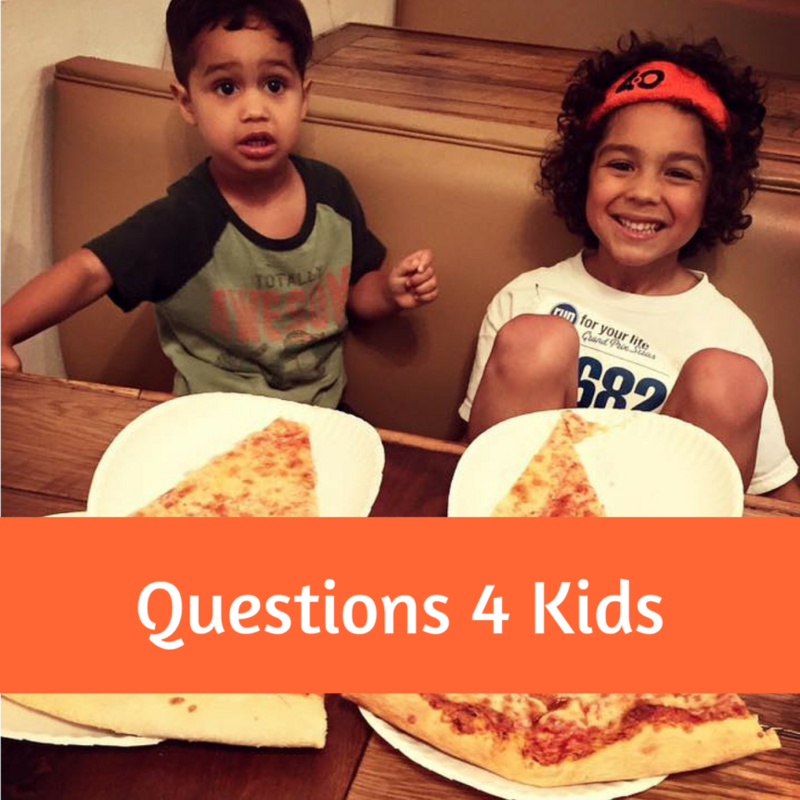 To honor our time together during this important holiday, we’ve included a couple of questions about family, to get your kid thinking about why theirs is so special! 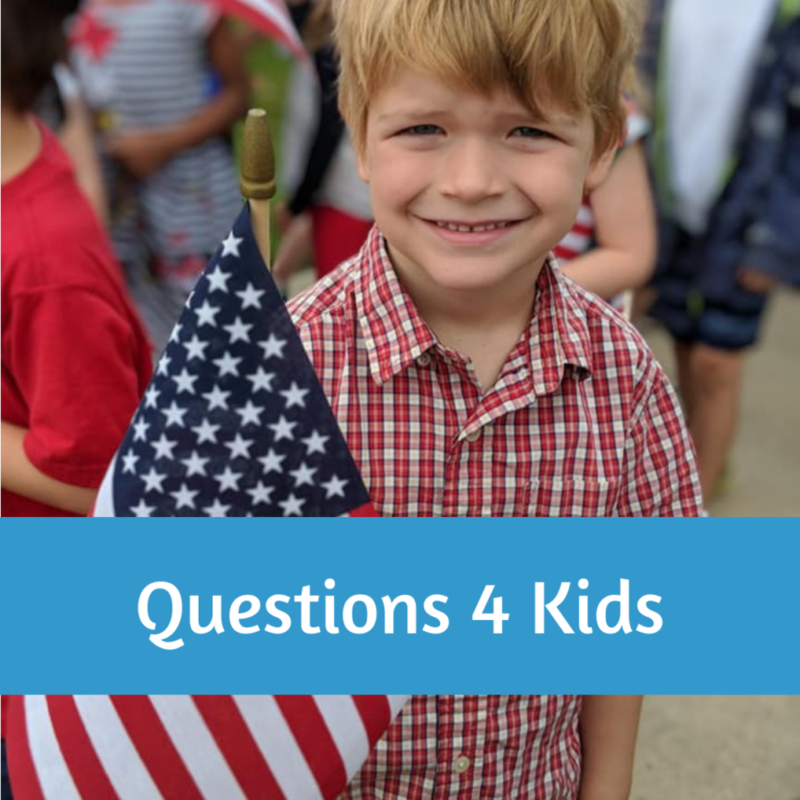 This week, we have a special Election Day question for your kids! This is a great opportunity to talk to them about voting, or even take them with you to the polls. We also talk about yummy snacks, the jungle, and the alphabet! 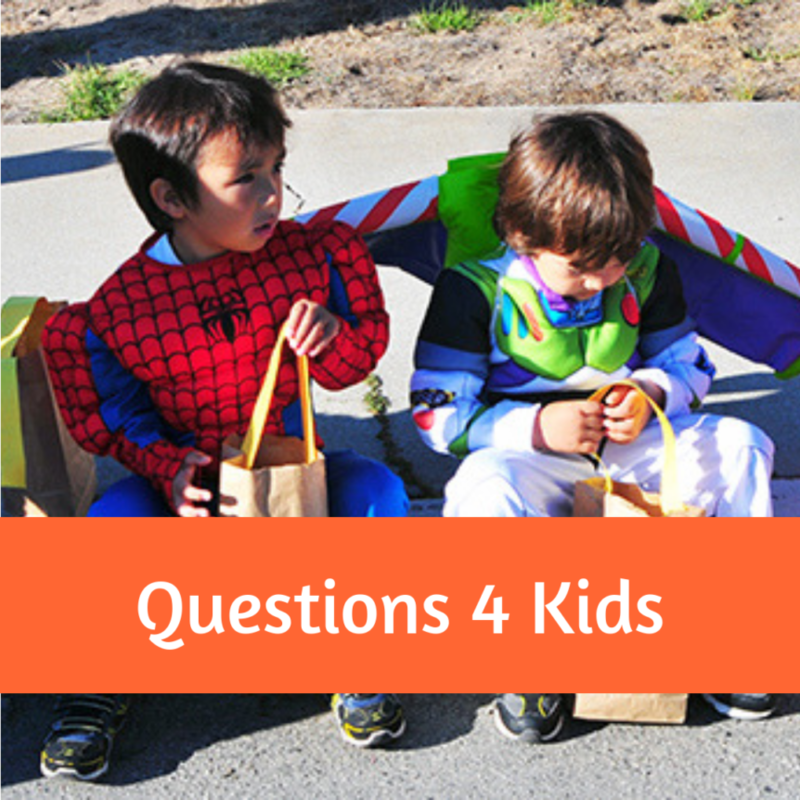 It’s Halloween week, so we’ve got some holiday-themed questions for your kids! Celebrate the spooky day with some quality family time! 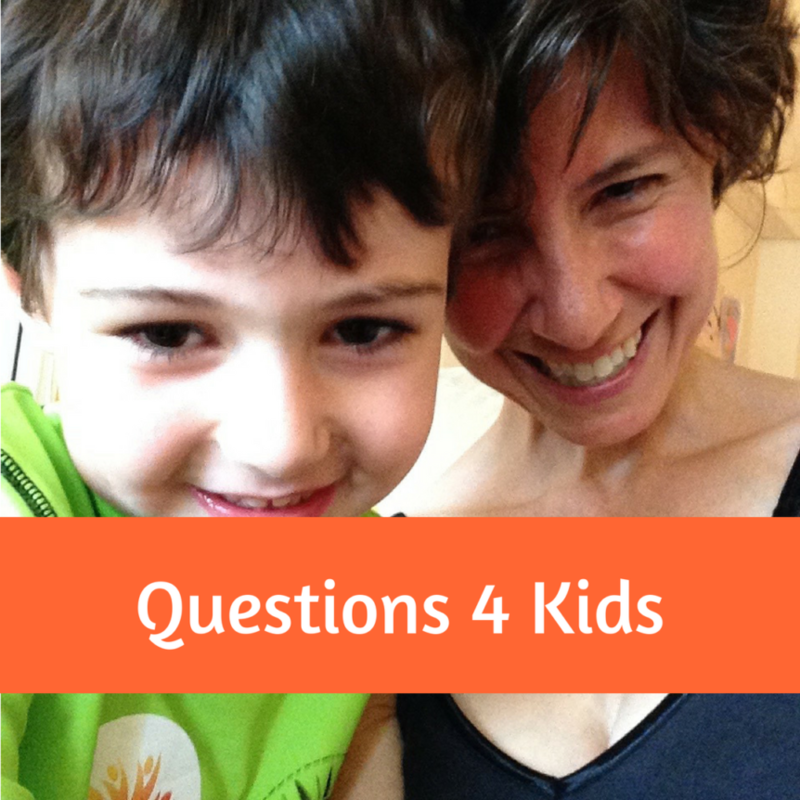 Time for some new Questions 4 Kids! This week, we talk about fun stuff like ice cream, the circus, and time travel. Enjoy! This week, take time to do some reflection with your kids. 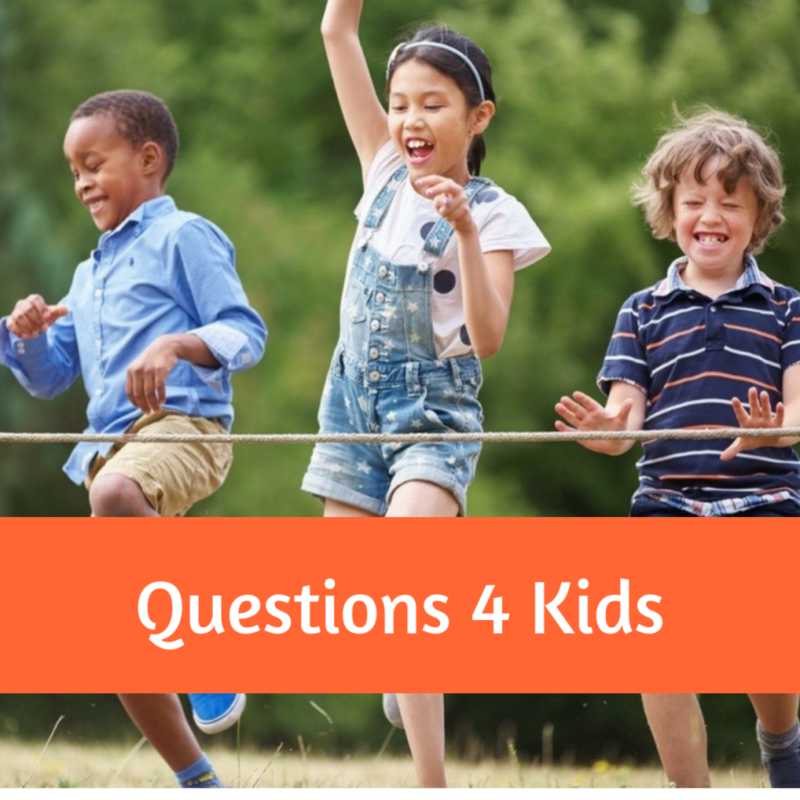 We’ve got some new questions that will get them solving problems, thinking creatively, and making the family laugh! 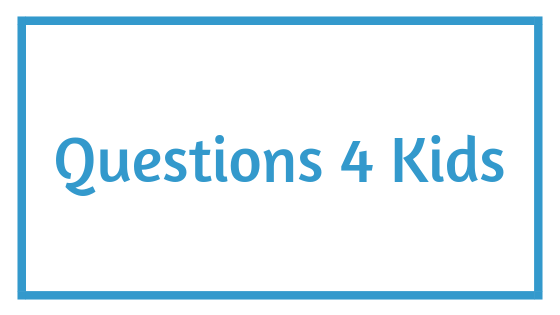 It’s time for another batch of creative Questions 4 Kids! Take some time this week to reconnect with your family and get them thinking outside the box. As we roll into October, the school year is ramping up and many families are getting busier and busier. These questions will help you make the most of the precious time you have with your little ones. Enjoy the Qs and the great conversations they spark! Happy Fall! What better way to celebrate the changing seasons than with some quality family time? 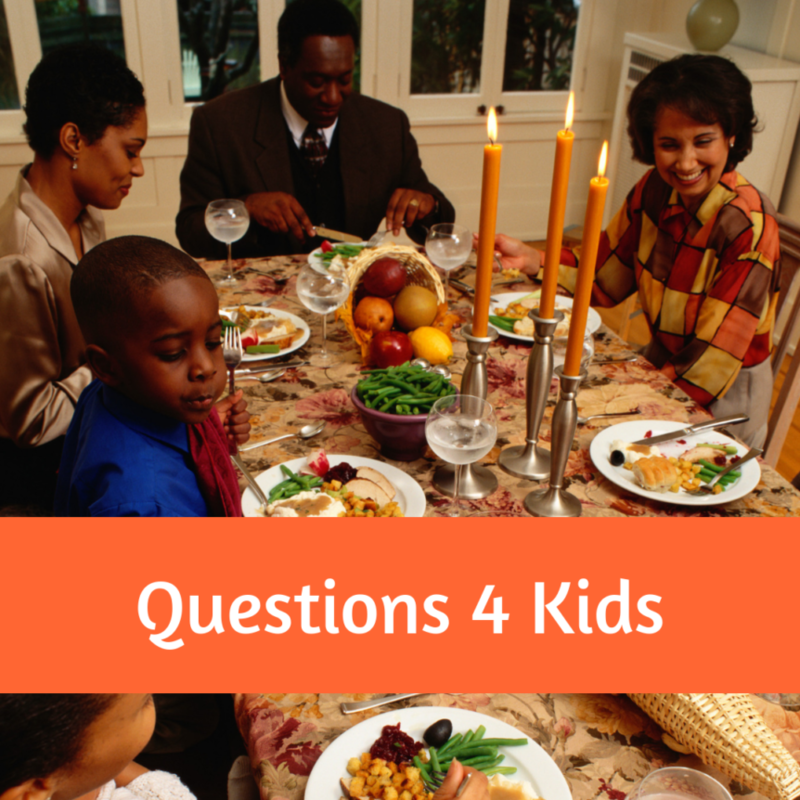 Here are some new questions to get your kids thinking and bring your family closer together. Enjoy!